Following the release of his group's report, Scott Kesner, chairman of the Texas Association of Realtors, recently extolled the strength of the Texas housing market, remarking how this year could be one for the record books. "Overall, statewide numbers continue to be strong," Kesner said. "Last year fell just short of being the best year ever in Texas real estate, but 2015 has shown consistent year-over-year gains in both home sales and prices. At this current pace, 2015 could very well surpass 2007 as a record year for Texas home sales." Getting a bit more specific, the area of Bryan-College Station experienced a 10.7 percent rise year over year in median home prices, which reached $188,000. The number of single-family homes sold was up 7.7 percent and spent an average of 12 days on the market. In addition, months of housing inventory are down 2.8 months, well below economists' ideal range of 6 to 6.5 months of available stock. This bodes well for homebuilders in the area, since buyers are demanding more housing than the market is supplying. Picking up the level of housing inventory will take a considerable amount of time, and this should keep homebuilders occupied trying to not only keep pace with demand, but also overproduce to pick up the lingering slack in monthly inventory. New Braunfels and Bryan-College Station real estate numbers continue to climb. Meanwhile, the San Antonio-New Braunfels metro region also saw a 7.1 percent uptick in median home prices, with third quarter 2015 numbers reaching $195,000. While single-family homes spent a considerably longer time on the market at 52 days, the number of homes sold was up 8,343 from the third quarter of 2015. Even though four months of available inventory in the area, homebuilders should remain busy throughout the buying season and beyond. Despite the ever-increasing demand to buy land in Texas to build a house in areas like Bryan-College Station and New Braunfels, contractors are learning it's difficult to find skilled labor as well as lots to build new homes. As noted by Jim Gaines, Ph.D., the chief economist at the Real Estate Center at Texas A&M, these factors are exacerbating the problems with supply and ultimately holding back homebuilders from ramping up construction. "The housing market continued to be strong in Texas during the third quarter, but high housing demand coupled with shortages in labor and lots continued to restrict new home construction, leaving inventory strained," said Gaines. "Fortunately, more Texans are listing their homes on the market as prices have risen, possibly in expectation of rising interest rates in the future." 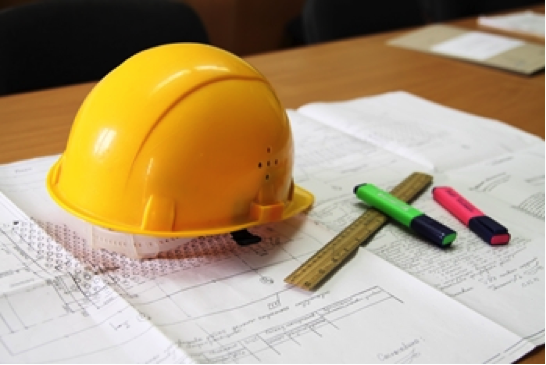 In addition to the lack of skilled labor, subcontractors might also be faced with impending problems when it comes to hiring workers. While there is no strict definition of what constitutes an independent contractor, the U.S. Department of Labor recently announced a clarification of who is considered a subcontractor and therefore subject to overtime pay. As BuilderOnline noted, because of a few bad apples who are trying to avoid paying Social Security and other payroll taxes, the DOL will be taking a more hard-line approach to regulating who constitutes an independent contractor. The National Association of Homebuilders wrote an open letter commenting on the DOL's proposed labor change. According to the Sept. 4, 2015, correspondence, the NAHB is concerned with the pending regulation and believes that the salary threshold negatively affect the opportunities, jobs and employment flexibility for full-time construction supervisors. These impacts have the potential to delay construction project completion, boost costs and ultimately create less affordable housing. Even with the shortage of skilled labor, homebuilders and contractors will be facing increased pressures with finding and paying workers. 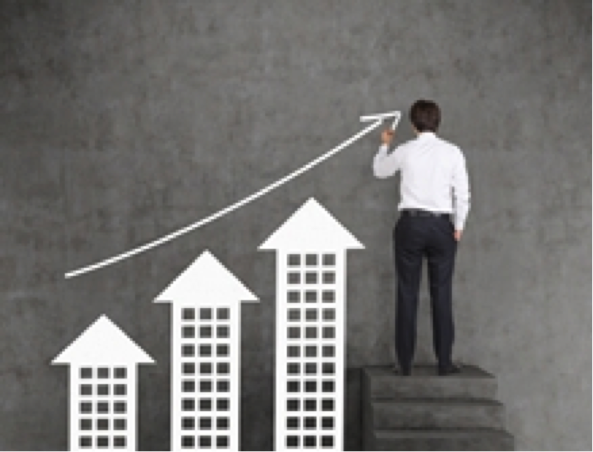 Texas real estate development surges to record levels. As many residents scramble away from the congestion and costs of the major urban areas, more people will notice the benefits of buying land in a master planned community to build a home. 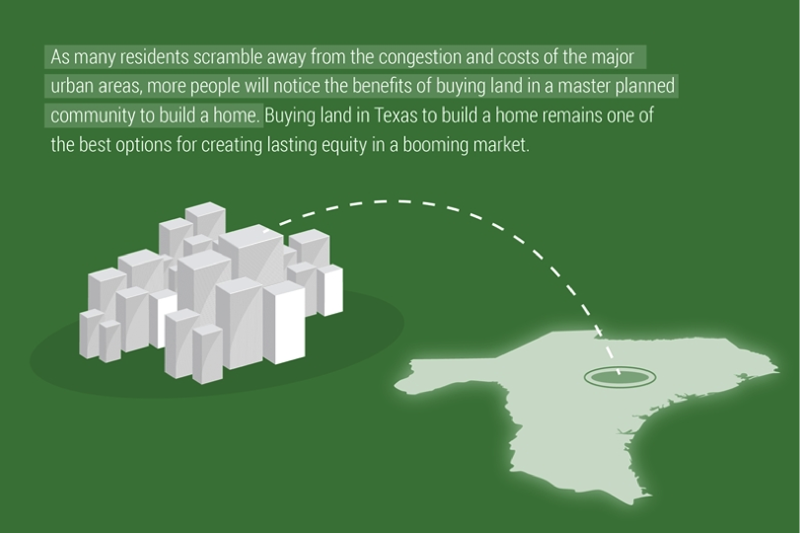 Buying land in Texas to build a house remains one of the best options for creating lasting equity in a booming market. Builders working in land buying initiatives could partner with SouthStar to acquire land and build homes. For more information on working with SouthStar, contact us or visit our website. Homebuilders should have their hands full trying to keep up with the surging demand for people who want to buy land in Texas to build a house.